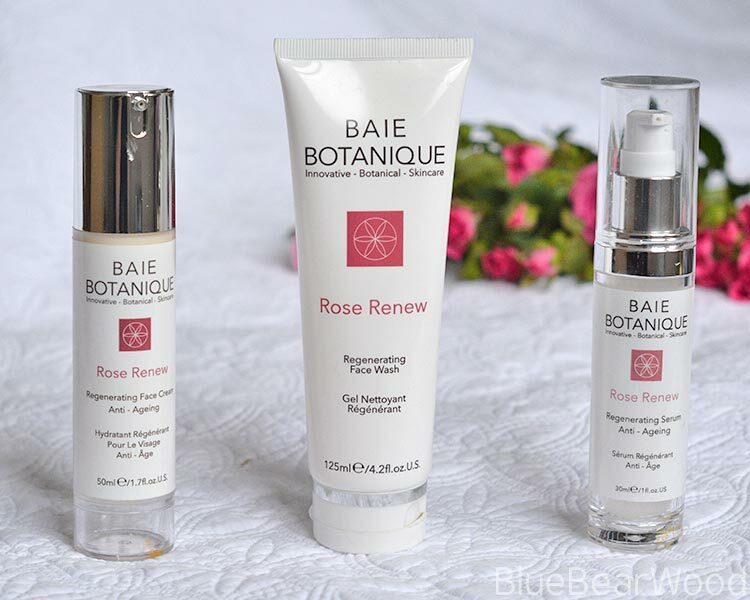 Skin care has become more and important to me over recent years so I was more than happy when Baie Botanique offered to send me some of their Rose Renew Anti-Ageing skin care products to try out. As I’ve grown older (and by that I mean peri-menopausal upwards, I’m 48) my skin has started to dry out massively and I now taking a lot more interest in the skin care products I use, what’s in them and how often I use them. I want products that compliment and work with my skin, feed it and nourish it. Products that contain quality ingredients and that are cruelty free (Baie Botanique is cruelty free and vegan). 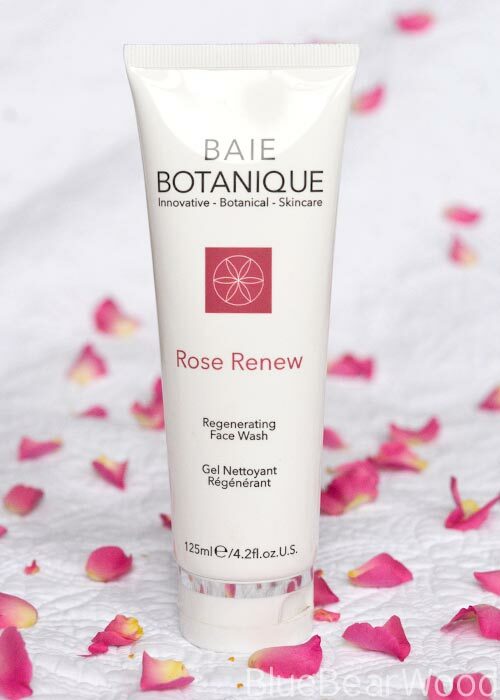 The Rose Renew skin care is based around three key ingredients – Organic Rose Water, Rose Absolute and Organic Rosehip Seed Oil. These superstar base ingredients are then mixed carefully with other botanical ingredients to create a skin care range that hydrates, smoothes, revitalises, improves skin tone and most importantly helps to combat signs of ageing. The Skin Care Range currently includes a Face Wash, Serum and Face Cream. I’m always wary of introducing too many new products at the same time, especially as my skin is getting more sensitive in my old age. So over a period of a week I started with the face wash, then introduced the serum and finally the face cream. I did have a break out of spots for a few days when I first used the serum but that settled down and I haven’t had another outbreak. The brand description claims a rose enriched cleansing and hydrating facial wash gel formulated to brighten and revitalise the skin leaving it softened and refreshed and yes it does exactly that. I’ve always been a soap and water girl (with a bit of eye makeup remover chucked in) but many soaps leave my face feeling tight and stripped of everything (good and bad!). The Rose Renew Regenerating Face Wash doesn’t do this. 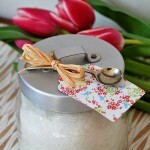 It’s nice and light, smells divine and leaves my skin feeling soft and radiant afterwards. The soap is on the runny side so there is a tendency to squeeze a little too much out into your hand in one go. Add a little water and it lathers into a lovely soft creamy soap on your hands and face that is easy to clean off with water and a flannel. Once rinsed off my skin felt soft and smooth with none of that tightening that I mentioned I get with standard soaps. This is my new best friend. 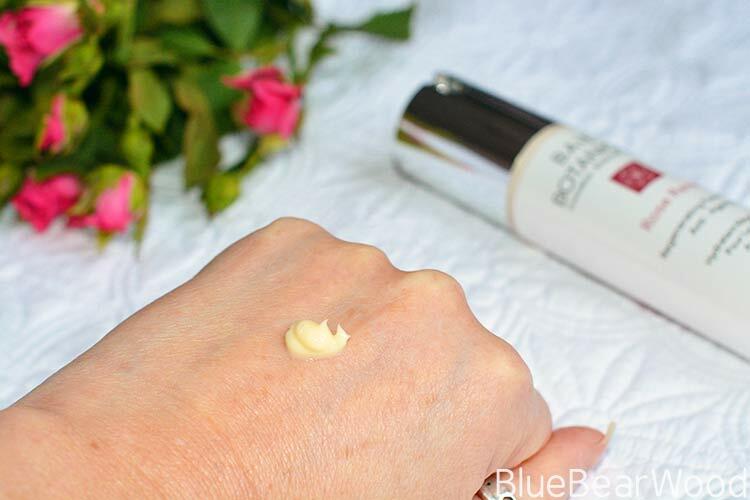 I totally love everything about ‘Rose Renew Regenerating Serum’ and I’ll continue to use it as part of my daily skin care routine (I’ve also been recommending to all my friends and family). It comes in a pump action bottle with a lid (a couple of pumps is plenty to cover the whole face and neck). It smells beautiful feels quite light to the touch and absorb’s quickly,leaving your face feeling cool and refreshed… it feels a bit like something is evaporating (it could possibly be the witch hazel). The brand description claims that the serum will aid cell renewal and regeneration. Visibly tone, firm and restructures the skin, improve the appearance of fine lines and wrinkles, carefully selected active botanicals leave the skin brighter, softer and with a healthy glowing radiance. The Rose Renew Serum has really helped get my skin get back in shape. I have a much better tone to my skin. It’s softer, more moisturised and has reduced redness and age spots (this could also be linked with less sun). Normally I’d be applying tinted moisturise all over my face but since using the Rose Renew Serum I often only put foundation around my nose and leave the rest of my skin untouched save a bit of blush occasionally. It hasn’t got rid of my wrinkles (let’s be realistic I’m 48!) but it has definitely softened them because my skin is more hydrated and in good condition. This is my least favourite of the products. That doesn’t mean it’s bad by any means. I’m a bit sensitive to the feel of moisturiser creams on my face particularly anti-ageing ones. I’m just not keen on the skin tightening feeling you get after you’ve put them on. Anyway, this is another pump action bottle and a couple of pumps covers the face and neck fine. The cream is slightly yellow looking, thick and has a fainter rose smell than the serum and soap. It smooths onto the skin nicely and dries quite quickly with very little tackiness. I did find that sometimes I had a little balling of product when I put my foundation on but I haven’t found an anti-ageing cream that doesn’t do this (another reason why Im not so keen on anti-ageing creams). Having said that after a couple of weeks using the serum day and night I was using less foundation, so this stopped being a problem. The brand descriptioin claims that the rose enriched anti-oxidant treatment face cream will plump, hydrate, firm and replenish the skin, protecting against free radicals and combating the signs of premature ageing. This is hard to comment on. It certainly tones and firms but unfortunately I really don’t like that feeling on my skin and so it stops me using it regularly especially if I’m going out and putting makeup on top of it. I will persevere with it as I think it compliments the other two products that I love. If you don’t like the smell of rose and geranium then these products are definitely not going to be on your shopping list but if you’re a rose fan then I really recommend you try the products out. 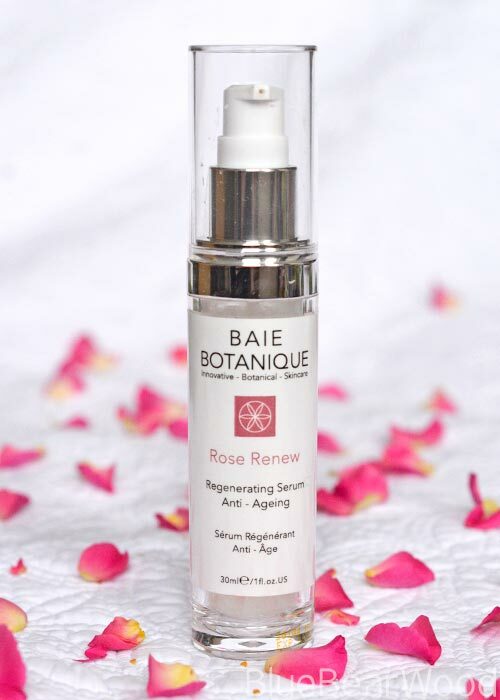 The Baie Botanique Rose Renew Serum (AmazonUK) has become one of my favourite beauty products and I have been telling everyone about it as I really feel it has improved the condition of my skin. 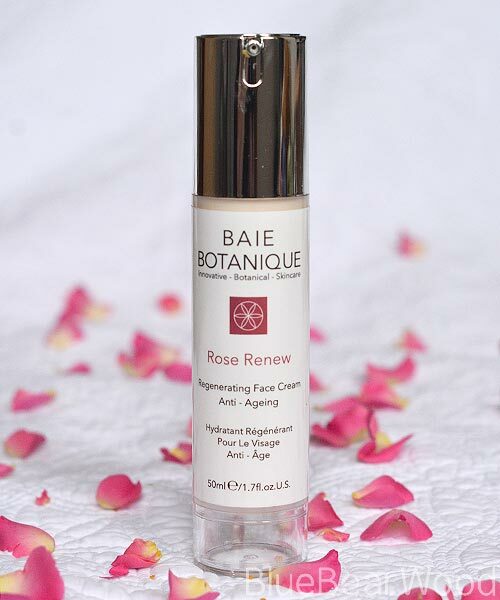 The Baie Botanique Regenerating Face Wash (AmazonUK) is also a product I will keep using again because of how it leaves my skin feeling. I’m sure the Regenerating Face Cream (AmazonUK) will grow on me! 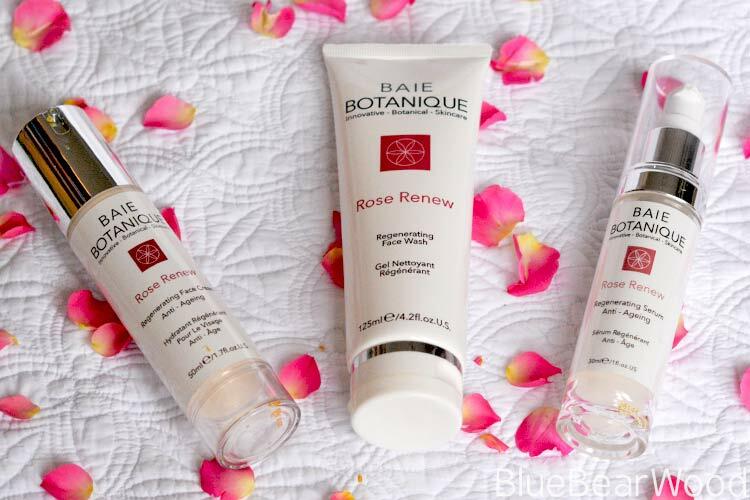 I received all three Baie Botanique skin care products to review. I’ve used them for a little over 4 weeks before writing down my thoughts. All images are my own. Oh wow what an amazing sounding range of products – I really need to think about getting my skin into a good routine and looking after it more myself. These sound like lovely products., i love the smell of rose! I love the look of these products especially the face wash. 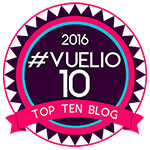 Sounds lovely – I like rose based products a lot! i had read a review of these on another blog and reading that you’ve also had a positive experience with these products shows that they’re great! I’ve never heard of this brand before, but it definitely looks like something that I would love to try out. I love the smell of rose, so I think I would love these. Adding to my Christmas list. I had never heard of this brand before but I’m really intrigued by the serum. It sounds divine! Anything with Rose Water and Rose Absolute smells wonderful. 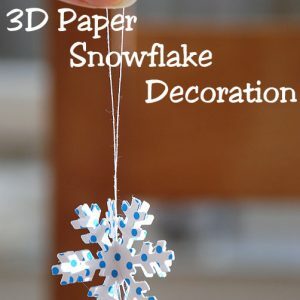 Would love this in my stocking this year! 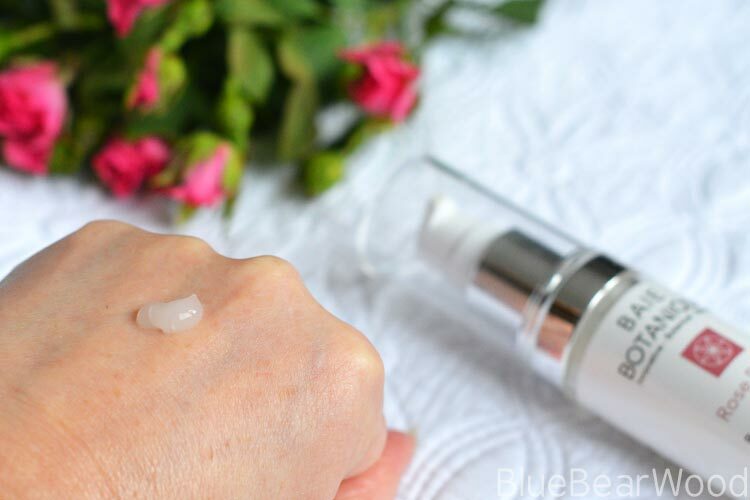 It is brilliant that the serum has done wonders for your skin and made it more softer that is brilliant! I love rose scented products and this serum sounds really good.Pity that the cream was not what you expected. I’m not a beauty enthusiast, but this has to be the best beauty product review I’ve ever read! 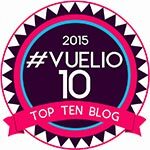 Well written and informative and thoroughly tested over a number of weeks. I am all too quickly (we’re talking days here) approaching my 40th birthday and my skin isn’t as youthful as it used to be. I am really considering starting to invest in products like these and your review has really swayed me. 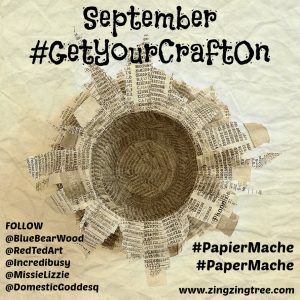 I’ll be looking for these products the next time I take a trip into town! I have never heard of this brand before! I love the sound of a hydrating face wash, and the serum looks like it’s a gorgeous texture too! I’m a big fan of rose oil and beauty products made with it. This whole selection of goodies sounds pretty amazing and I’d love to try it too.